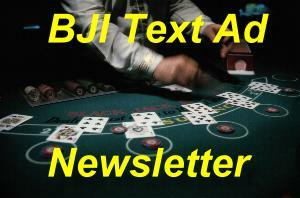 www.bjinsider.com is a monthly e-newsletter with the best articles by industry-leading authors and experts, on blackjack and other advantage gambling casino games, including tournaments, poker, craps, casino reports, and much more. Purchase a one-year subscription below. Membership allows you to read all of the articles in every monthly issue.